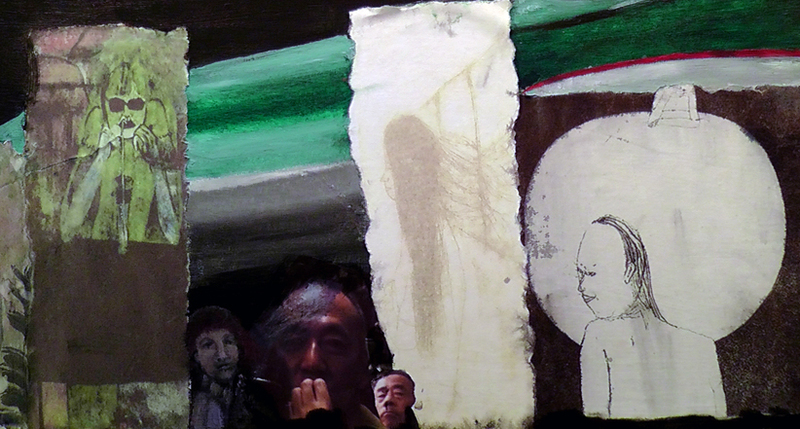 Featuring works from the project, “Spirits in the Garden; the Homeless of Japan”. 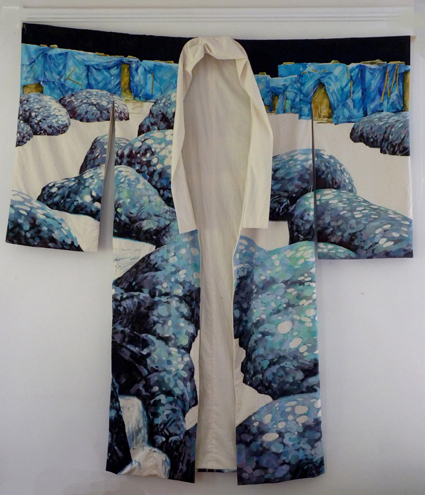 Makiko Berry is an artist based in the country to the North-West of Kyoto. Her background is in restoration work, specialising in the preservation of traditional works on washi papers. 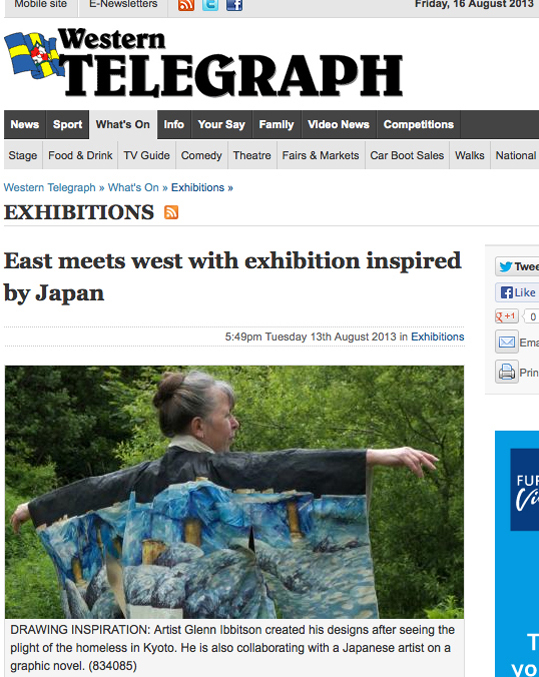 After meeting with her at the Arton Gallery in Kyoto, Gaynor suggested a collaboration using a range of media. 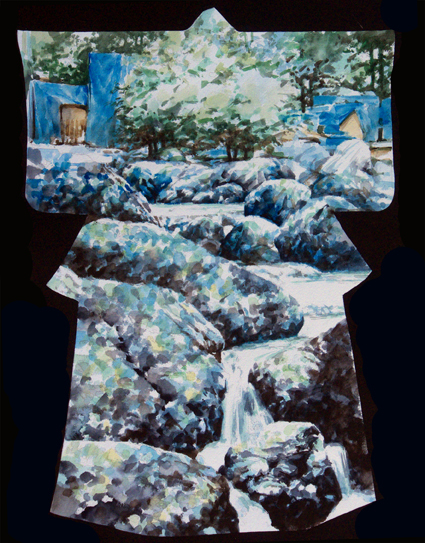 Makiko subsequently sent images of her figure paintings and drawings, as JPEG files by e-mail to Gaynor to adapt and incorporate them into her own work. Gaynor embedded these characters as collage elements into several paintings which act as backings to her ceramic figures of Japanese commuters. Her ‘Train People’ are all engrossed in their own e-worlds; oblivious to the landscapes they are travelling across. 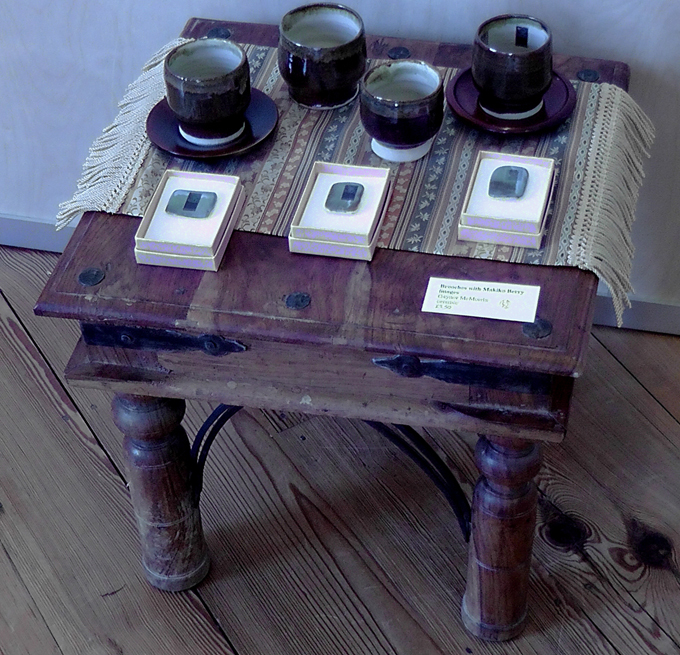 Makiko’s images, which share their space, may be fellow travellers. Or they may be manifestations of online activity; remote partners viewed on I-pad screens in ‘skyped’ conversations. The viewer is left to interpret these contrasts of style and ambiguities of juxtaposition. I have always been attracted to the idiom of the comic or graphic novel, reading large quantities of superhero comics as a youth; and writing and drawing my own strips during school holidays. Years later, I returned to the genre of the graphic novel as I storyboarded my film, ‘Tatsuko’. I wished to create something of an artist’s book in concertina form. 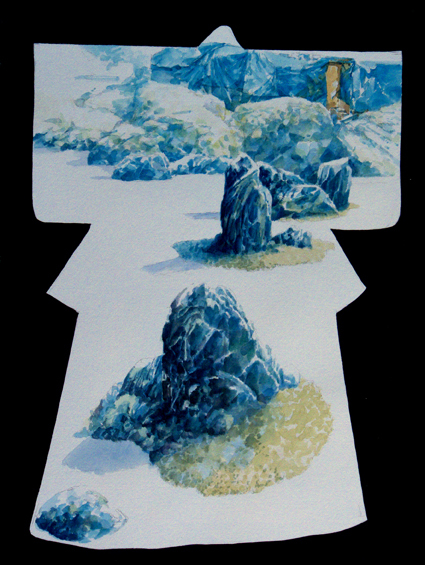 The more important sequences of the film were painted as a series of panels to a ‘fine art’ standard. Because the film is silent, no speech or thought balloons were required. I subsequently worked on a more conventional strip intended for publication. ‘Nemesis’ is a visualised flight from menace while in thrall to uncontrolled paranoia. Text and image are here combined in a more conventional manner. Medium varies from pen and ink through acrylic and collage from panel to panel but the whole is unified by a decision to publish in monochrome. From the very outset of preparation for the trip to Japan, I was minded to work with a calligraphic artist on some kind of comic strip. Japan is now the centre of graphic novel production and consumption so there was a high likelihood that I might find a working partner who would be thoroughly familiar with the genre’s peculiar syntax. During the period of grant application, I looked up sources of information on the Japanese artists who would be showing with us at the Arton Gallery. 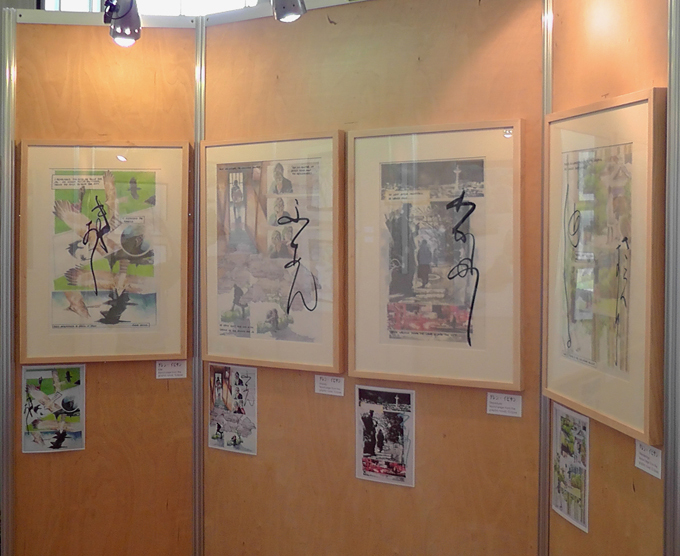 I was particularly taken with the work shown by Hiroshi Ueta. Hiroshi and I bonded well during the time spent discussing art in Kyoto. We shared an enthusiasm for the medium of sequential art. As Japan is the major producer and consumer of comic strips or ‘manga’, it seemed natural that we should develop our ideas through this popular medium. 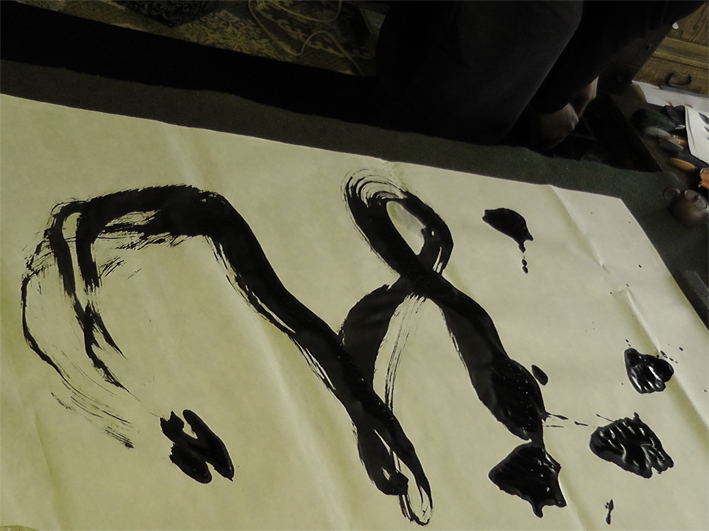 His calligraphy is of a very personal nature. Though readable to his native audience, he nevertheless plays with his character forms in a way that gives them added visual appeal. I sensed that I could incorporate these characters into my images .Exactly what our own strip should constitute only became clear during the trip. The high visibility of the homelessness issue during the trip re-routed my thinking from my initial preconceptions. This is what travel should do, of course. Plastic tarpaulin-covered ply huts proliferated at the edges of urban green spaces in areas of both Kyoto and Tokyo. They are occupied under license by the homeless, many of whom are former white collar professionals who fell victim to the recession which hit the Japanese economy before the general downturn in the west. The Japanese welfare system is predicated upon and exploits the all-pervading national sense of honour. After a period of six months redundancy benefit, further family welfare is difficult to obtain, unless the former breadwinner vacates the home. The man must effectively desert his wife and children in order for them to secure state benefits. Most families struggle without aid; only the most desperate take this step.There is a very cool logic at work here, which has created a new social strata, subsisting on city –organised canteens and the voluntary sector. Many of the homeless dwellings are surrounded by bags of crushed soft drink cans, which former executives now collect to earn small sums of pocket money. This is a desperate situation, though because the incidence of drug and alcohol abuse within this underclass is so much lower than in its U.K. or U.S. counterparts, one does not feel in danger near these dwellings. I saw no evidence of violence, drug use or alcohol misuse while I was drawing nearby. I never saw anyone beg. [This activity seems to be the preserve of Buddhist monks] Conversely, the homeless feel confident enough in human nature to leave durable possessions outside their huts. Furniture, bicycles, and pegged out washing seems safe from theft. Whether this mutual goodwill continues to operate as Tokyo’s desire to present a clean face to the Olympics selection committee as it pursues its bid for the games remains to be seen. For all that the temples, gardens, architecture and birdlife captivated me, my enduring image of Japan in December 2012 is a vista edged by a congregation or terrace of blue temporary dwellings, incongruously juxtaposed beside Little Egrets fishing, standing stones in a Zen garden, by the gates of a zoo entrance. This is what I hoped to flesh out in graphic novel form. In the months following my return to the U.K. I developed a scenario. The homeless issue would be seen from within, through the eyes of a young boy. Page 10 social authorities visit mother; warned that continued assistance given to father in the camp will threaten future family benefits. Page 15 Arrives at the site.. it has been cleared. Final panel of boys feet; his fathers chopsticks seen as a foreground motif. 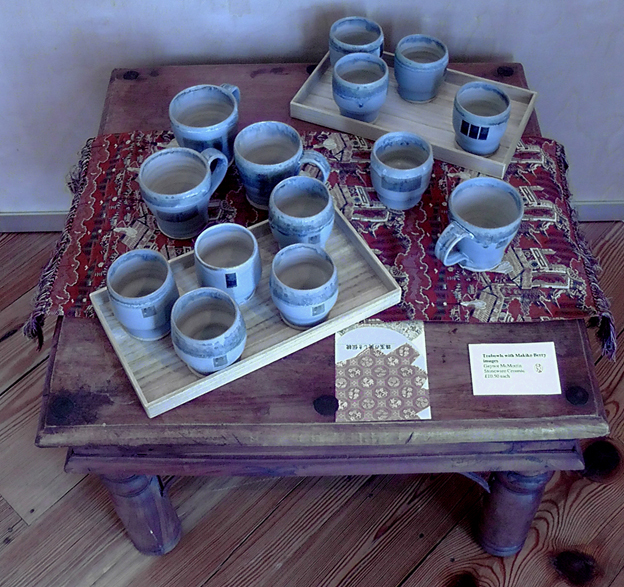 The collaborative working method was established with Hiroshi while still in Kyoto. I would send him a page as a jpeg attachment to an e-mail, with a few explanatory notes. He would translate these into Kanji characters The results he would e-mail back to me, both as a separate image, and as a layer over my page jpeg. I would then add this character to the original painted page. 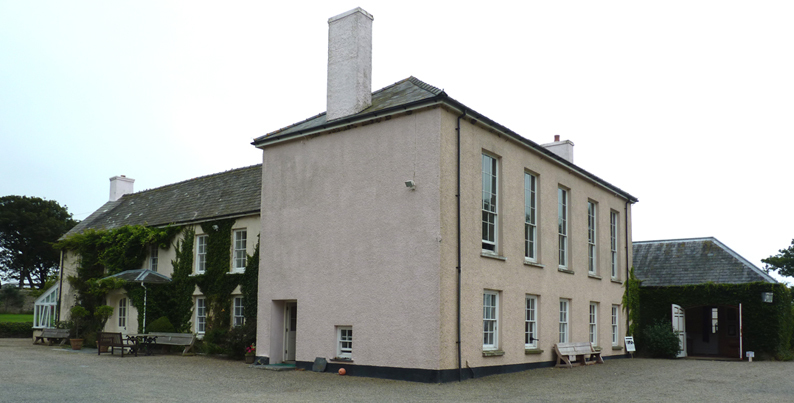 Through the generous support of Doug and Barbara McLeod, North Pembrokeshire enjoys an extensive programme of cultural events – visual, musical and literary. 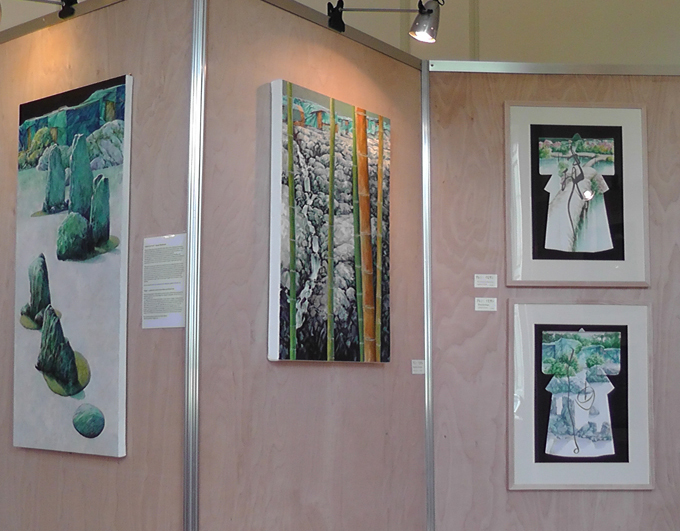 The ‘Dialogue’ show followed the Fishguard Arts Society’s annual open and a solo show of textiles by internationally acclaimed artist and FAS member, Audrey Walker O.B.E. “There is a flavour of the Far East to an exhibition of artworks in the Far West at Tregwynt Mansion, St. Nicholas, Pembrokeshire August 18th – 24th. 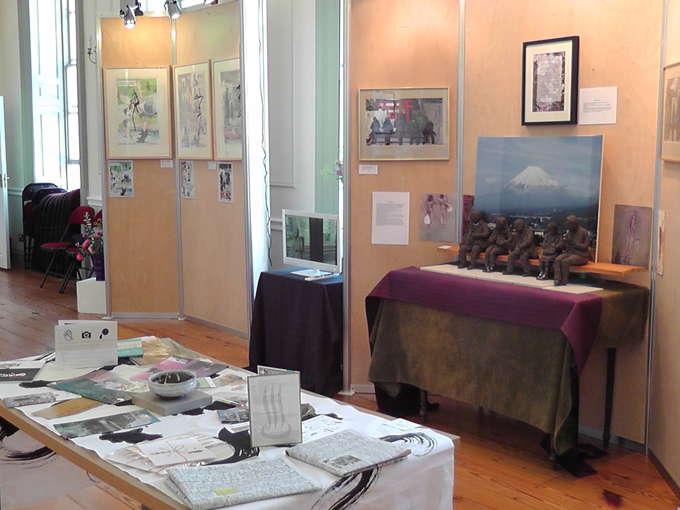 Glenn Ibbitson, Gaynor McMorrin and Ian McMorrin will be showing the fruits of a project inspired by their visit to Japan last December, which was funded by Wales Arts International. 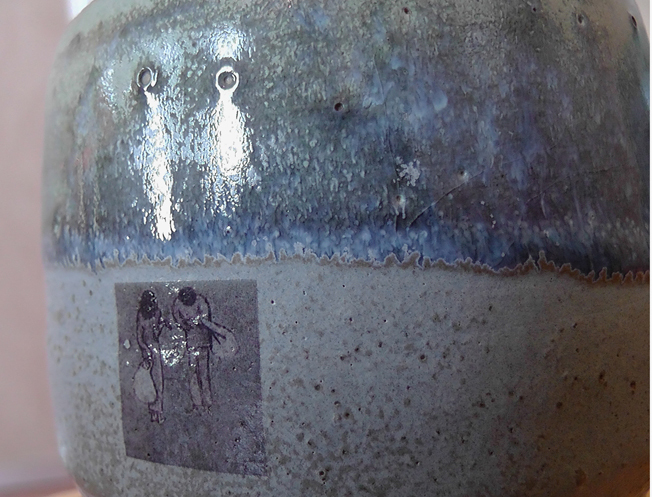 A skilled ceramicist and sculptor, Gaynor will be showing a series of ‘bullet train’ commuters; each absorbed in their own i-pad worlds, while Ian, a former Antarctic surveyor, will be presenting a selection from his photo-reportage. 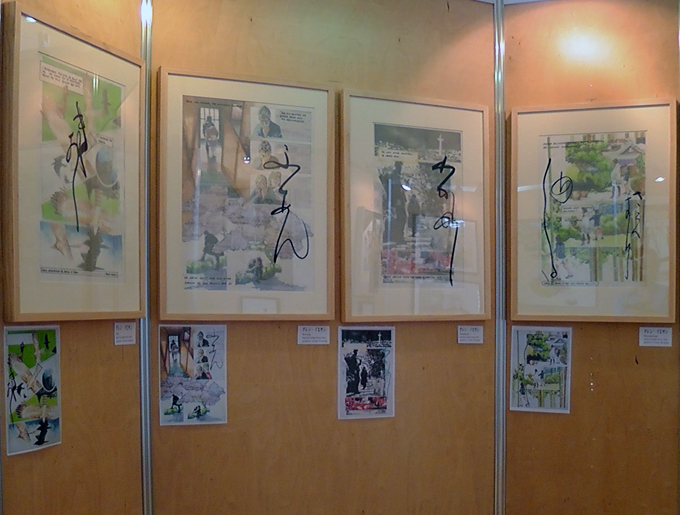 During the visit to Japan in December 2012, Glenn made a series of drawings of temporary settlements in public spaces. Homelessness is now a serious social problem in Japan. National codes of honour and welfare criteria are inextricably linked, with families able to claim state assistance only when the former breadwinner has absented himself from the household. The homeless are offered licensed accommodation in prefabricated ply dwellings each ‘weatherproofed’ by a covering of blue plastic tarpaulin. These are situated on the periphery of areas of public recreation. This has created a striking cultural and visual discord; scenes of contemplation and beauty now play before a backdrop of highly visible social deprivation. To continue and expand the parameters of our collaborations. Gaynor is planning to enlarge the scale of her figurative stoneware tableaux incorporating stylistic elements of Makiko’s painted figures into future sculptures. Utilise aspects of Makiko’s landscape paintings as animated film backings to further film-making. Makiko will be encouraged to make corresponding interpretations to Gaynor’s maquettes; perhaps using them as starting points for new canvases or panels. These in turn may be re-interpreted by Gaynor at a later date. The spectre of continuing troubles with the security of the nuclear site at Fukushima is foremost in the minds of both these artists at the moment and they are hoping to address this issue together in their project. The future direction of this open-ended collaboration will depend upon what materialises in their next round of e-mail information exchanges. Glenn has more pages to compose for ‘Eclipse’. These will be e-mailed to Hiroshi for his attention. When completed, he will seek funding to cover English/Welsh translation costs in order that two [English/Japanese and Welsh/Japanese] versions of the book may be printed and made available to the public. Audience response to ‘Eclipse’ has been most encouraging; the presentation of four working drawings and the calligraphic overlays elicited a very positive response. 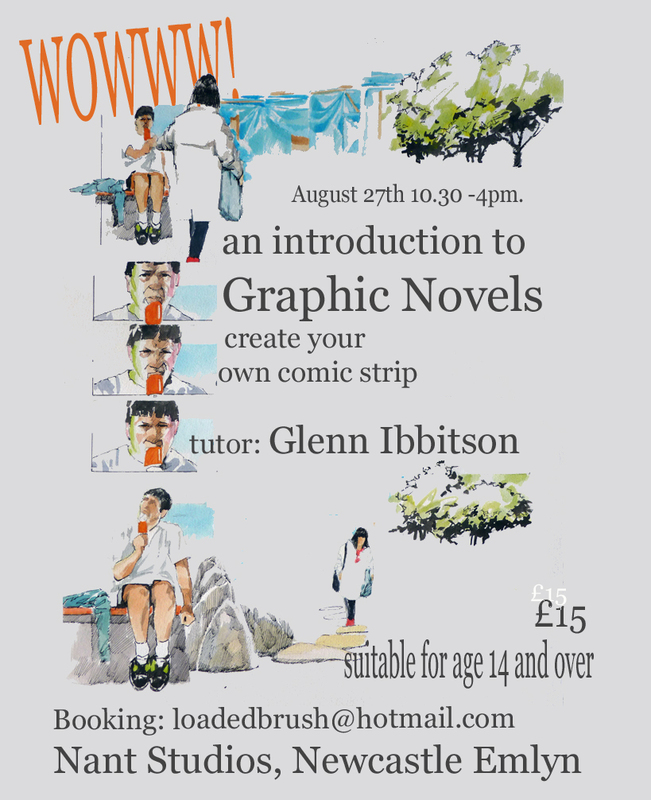 Several local visitors signed up to Glenn’s graphic novel workshop on the strength of these pieces. 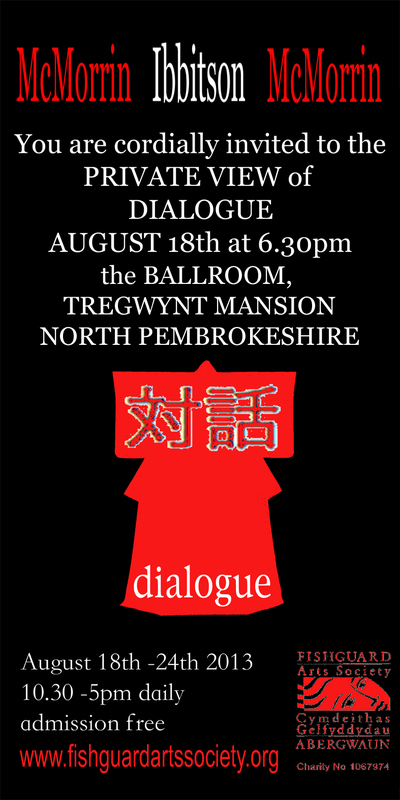 After the success of ‘Dialogue’ at Tregwynt Mansion, any information on other venues which would be suitable to host WAI-funded projects such as ours would be most welcome. We feel that the work is of a thought-provoking nature and the comments written in the Tregwynt visitor book would imply that there is great interest in these projects. Any future showings and associated publicity would again acknowledge the great support WAI has given us. I can expect to report the completion of our next stage of work [whatever form that will take] at the end of the year, other projects permitting. Work developed as a result of a WAI -funded trip to Japan. 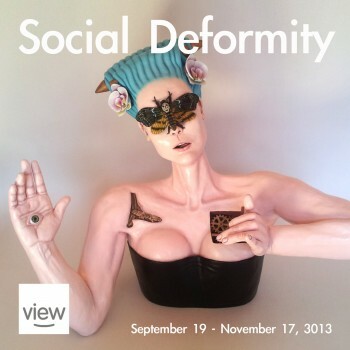 Show extended to August 26th 2013. 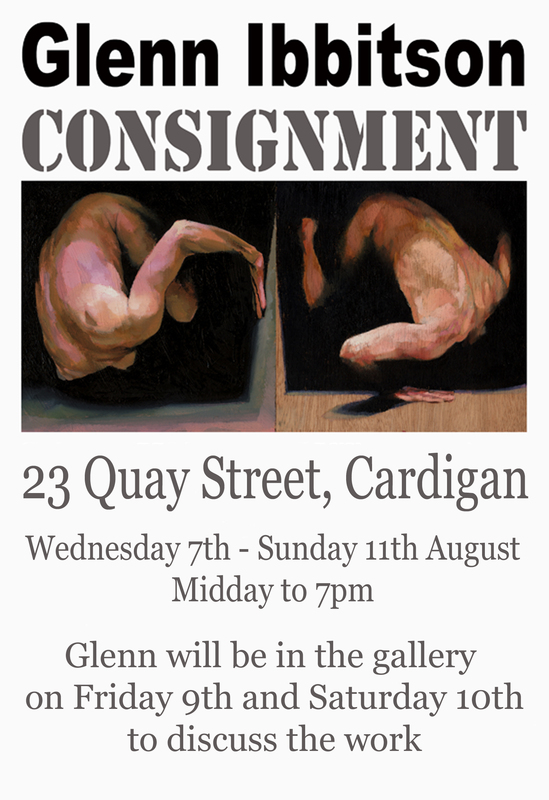 Ceramics, paintings and photography by Gaynor and Ian McMorrin; paintings, drawings and graphic novel layouts by Glenn Ibbitson. In collaboration with Japanese artists Hiroshi Ueta and Makiko Berry.